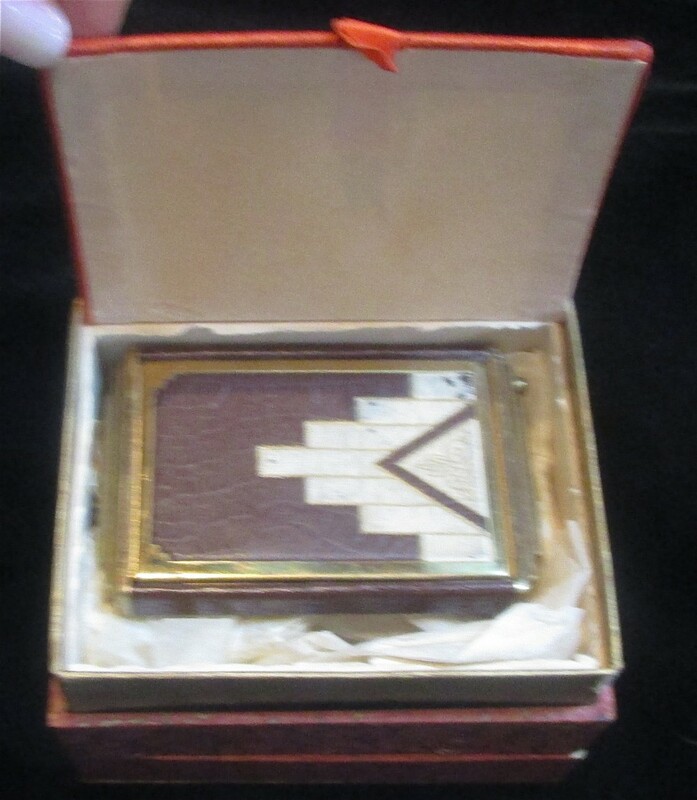 This Art Deco compact is in excellent shape and comes with the box. It is covered in what looks to be real leather. 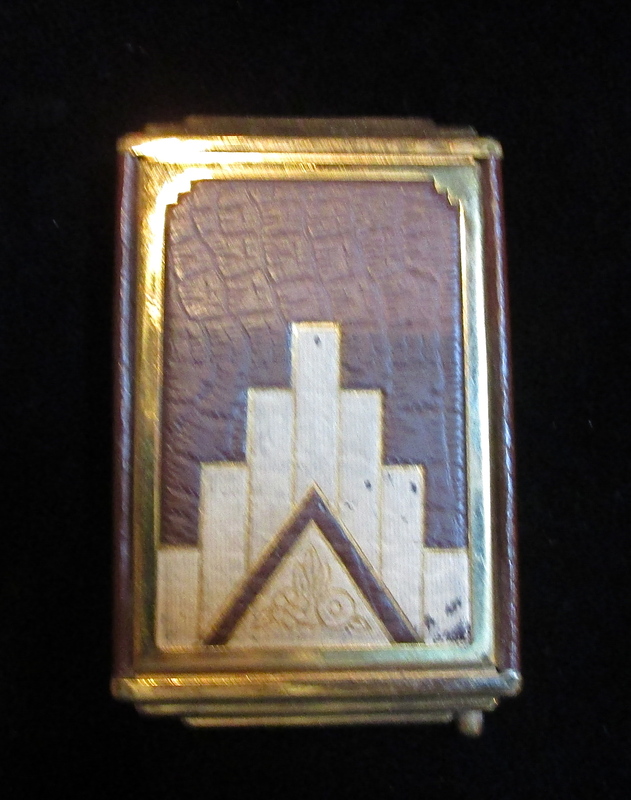 It has small deco imprints etched into the front design of the compact. Compact is in the deco empire style. You push a button on the bottom right hand side of the compact to open it. The back is covered in the same brown leather or pleather.